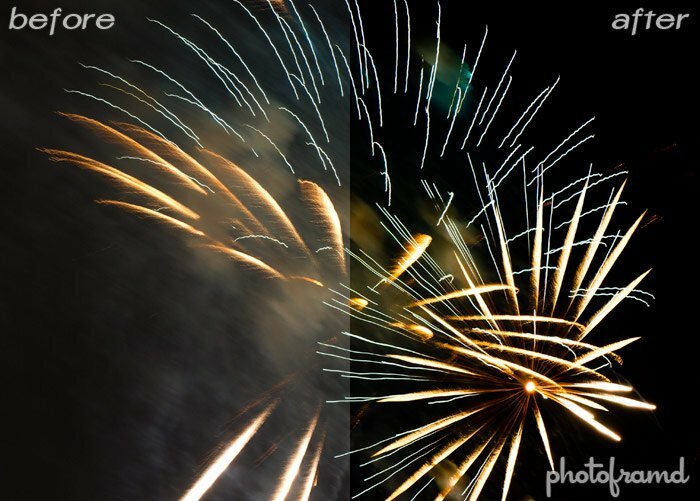 Home »Photography»Lightroom 3 – Make Fireworks POP! 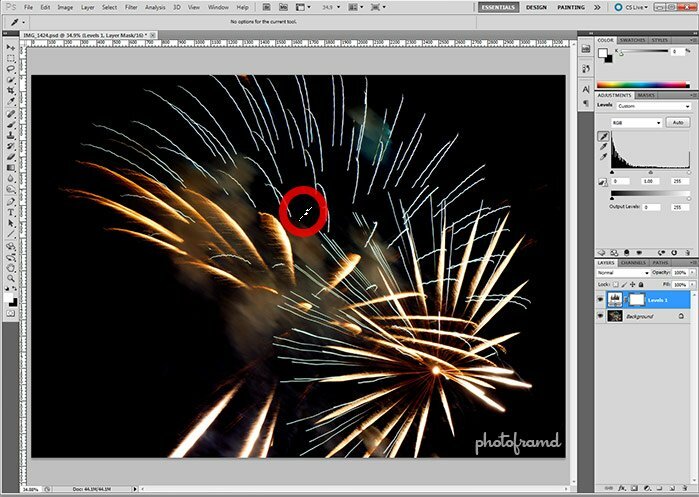 Lightroom 3 – Make Fireworks POP! Photographing fireworks is just the start. If you really want to make them POP, you have make several adjustments to make the explosions dramatic. 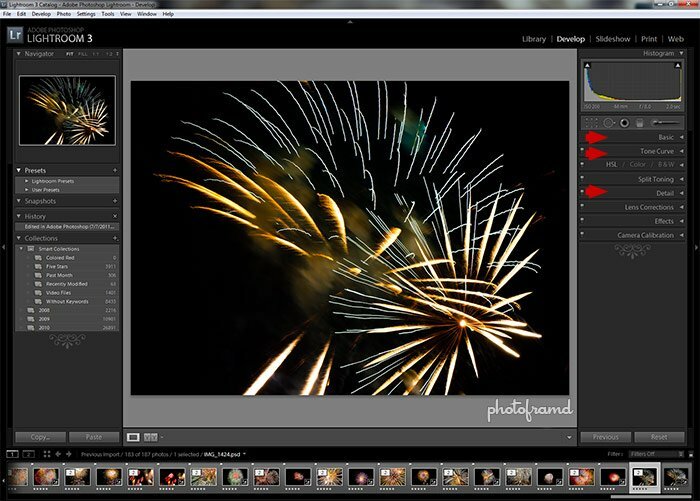 You can use either Lightroom 3, Photoshop and even Camera Raw. 1. Three tabs to adjust in Lightroom 3. The goal is to darken the sky to black (or near black) and brighten the explosions. In Lightroom 3, you can focus on the Basic tab, the Tone Curve tab and the Detail tab. 2. Darken the Sky. In the Basic tab, start with increasing the Blacks to about 20. Next in the Tone Curve, decrease the Shadows and the Darks to about -20. These settings should bring the sky to near black. 3. Brighten the Explosions. 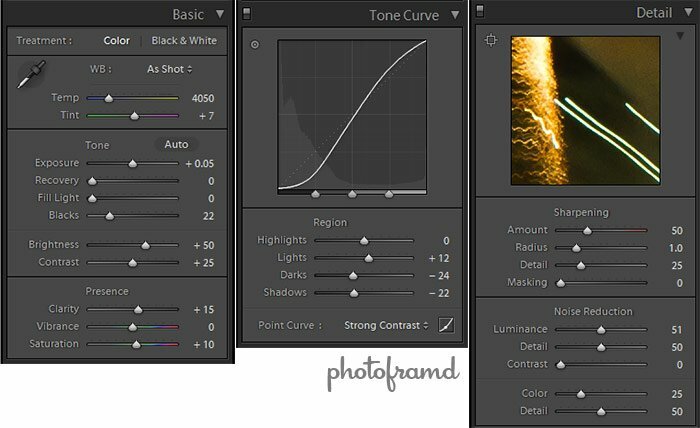 In the Tone Curve, increase the Lights enough to bring out more details. Leave the Highlights slider alone since this will increase the white blow-outs. Next, in the Basic tab, adjust the Brightness slider so that the explosions really stand out. You may also want to adjust the overall Exposure at this point (either plus or minus) to adjust the balance of the entire image. 4. Tweak the other settings as necessary. When you start making dramatic change to a photo, you always run the risk of introducing digital noise. You can also adjust the Clarity and the Sharpness of the image to bring out the twinkle. 5. But, it’s still quicker to use Levels in Photoshop or Camera Raw. You can create similar results very quickly using Levels in either Photoshop CS5 or Camera Raw 6. Just use the Black eyedropper and click on a muted area. All of those values (and darker) in the photo will quick adjust to black. Just be careful about changing the overall color balance of the photo. Either way, the overall result is to enhance the drama of the photo and make them really POP! Next → Next post: Scary News About Adobe CS6 – Maybe No Upgrade Discount!